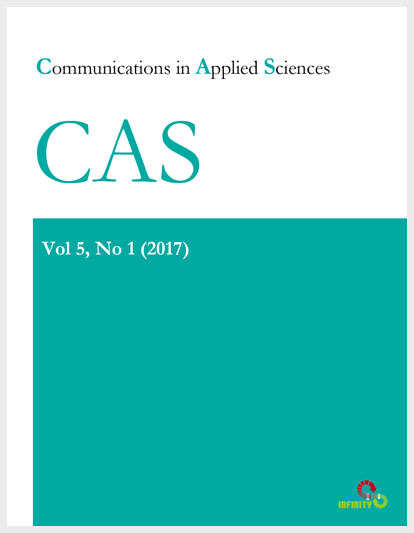 Communications in Applied Sciences (ISSN 2201-7372) is a peer reviewed international journal that publishes papers in all aspects of applied sciences. This work has demonstrated a new approach for 4-D phase unwrapping technique to retrieve earthquake displacement due to the fact of Nepal earthquake, 2015. In doing so, conventional InSAR procedures are implemented to two repeat passes of Sentinel-1A satellite data. Further, the three-dimensional phase unwrapping is performed using Flynn algorithm, four-dimensional best-path avoiding singularity loops (4-DBPASL) algorithm and Pareto ant colony algorithm. The study shows that the Pareto ant colony algorithm performed accurately compared to Flynn algorithm, four-dimensional best-path avoiding singularity loops (4-DBPASL) algorithm. In conclusion, integration of the Pareto ant colony algorithm with 4-DBPASLphase unwrapping produce accurate 4-D. Earthquake deformation because of reducing the length of the branch cuts and improving the quality edge of phase unwrapping.